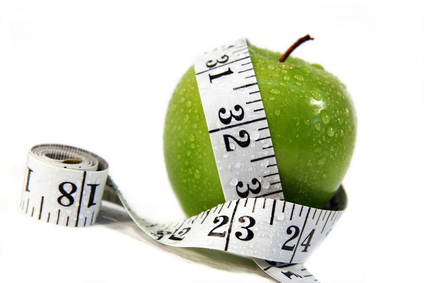 Mainland Machinery / HSE / How In Shape is Your Employee Health and Wellness Program? Many employers provide healthcare benefit packages to their employees, helping to ensure their valuable workers are able to meet their health needs such as doctor’s visits, dental care, eye exams and prescriptions at a reasonable personal expense. Despite the advantages and opportunities that receiving benefits through work provides, this does not ensure that workers are making the best lifestyle choices when it comes to their personal health. Even when receiving proper medical care, an individual’s health will be greatly impacted by their eating and exercise habits; and let’s face it, when it comes to food and fitness, we could all use a little extra motivation. At the end of the day, all companies depend upon the work of their employees; and if employees are to remain productive, they need to stay in good health. This is why it is vital for companies of all sizes to embrace an employee health and wellness program. For example, British Petroleum (BP) employs up to 7,000 staff members who are “landlocked” in the central Texas office. Additionally, they employee roughly 3,000 workers on offshore oil rigs where physically demanding work is an everyday occurrence. Since 2006, BP has partnered with Healthways to develop a comprehensive wellness program for all of their employees, whether on land or sea. As part of their health and wellness plan for those working on the oil rigs, medical professionals are even flown in by helicopter to provide medical screenings right on the rigs. Thanks to those health challenges, 60 members of the BP Atlantis platform recently joined the popular American weight loss program “The Biggest Loser.” While the contestants were sweating off the pounds on TV, the Atlantis crew was shedding their own extra weight while working in the Gulf of Mexico. The crew’s “biggest loser” reportedly dropped 40 pounds during the course of the groups health challenge. An additional bonus for the Atlantis program was their reduction in food costs. In fact, orders for junk food dropped by as much as 50 percent. BP is just one example of a company’s implementation of a successful health and wellness program. Many large corporations have created web portals dedicated to supporting their employees’ health and wellness. Along with virtual help, companies are also offering offline support in the form of health coaches and group meetings. Some companies are even adding fitness centers to their buildings, giving employees a convenient location to work out at before heading home for the day. With positive changes, workers will bring their new attitudes and healthy lifestyle outlooks home to their families, who will also reap the benefits of a company health initiative. The only way for a health and wellness program to be effective is for the entire company to get involved. Your company may already have a program in place. If they do, are you putting it to good use?